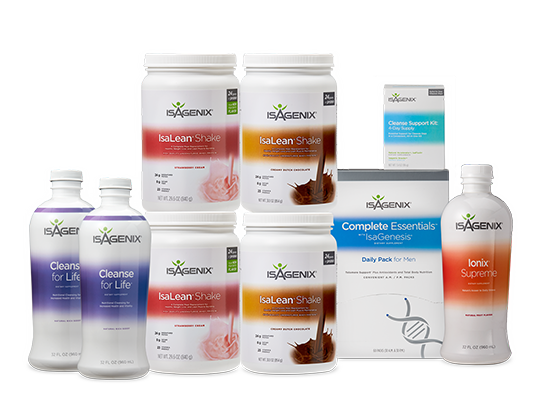 Isagenix paks and systems are conveniently packaged to help you take the guesswork out of achieving your best results. 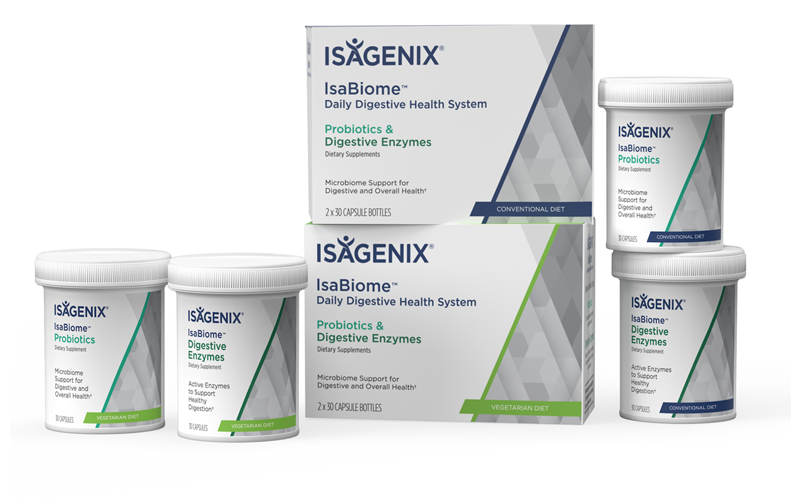 IsaBiome™ works as a complete system to help support a better microbiome so you can feel better, live better, and continuously improve your overall health. Build your foundation with the Every Day Essentials Pak. 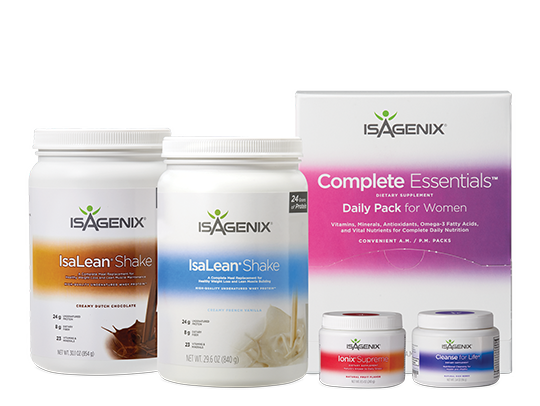 This ultimate system for creating optimal health and youthful aging combines all the Isagenix Pillars of Health products to create a leaner, healthier, more youthful and vibrant you. 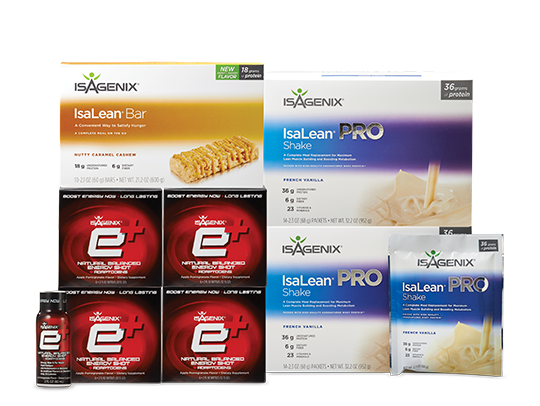 The Energy System offers a mix of energy-boosting, high-quality protein, and superb nutrition. 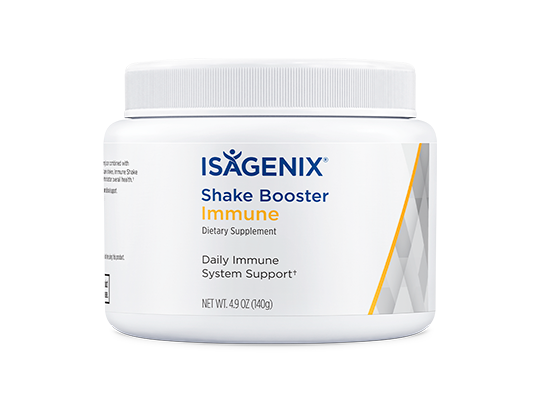 Infuse your body with the nutrition and care it needs to promote overall health while helping to satisfy unhealthy cravings. 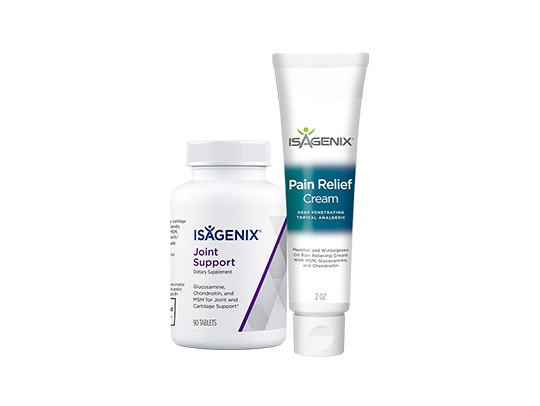 Specifically designed to combat the root mechanisms of aging using a smart, flexible, long-term program. 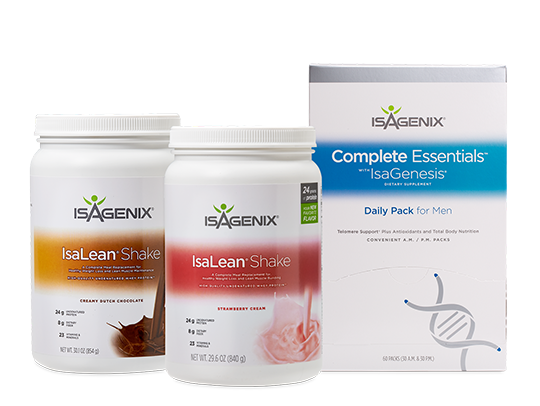 Good health takes work, but by laying the initial foundation with our four core products – IsaLean® Shake, Cleanse for Life®, Ionix® Supreme, and Complete Essentials™ Daily Pack – you can be on your way to a lifetime of wellness. 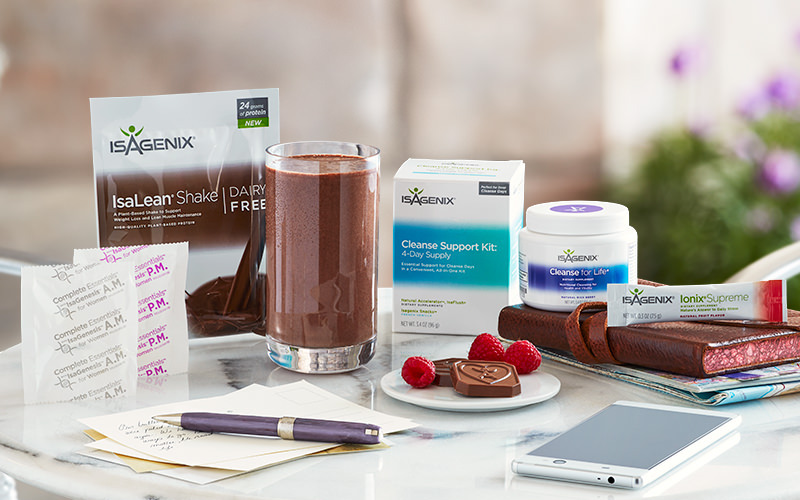 Start living the life you crave with the Shake & Shot Pak™. 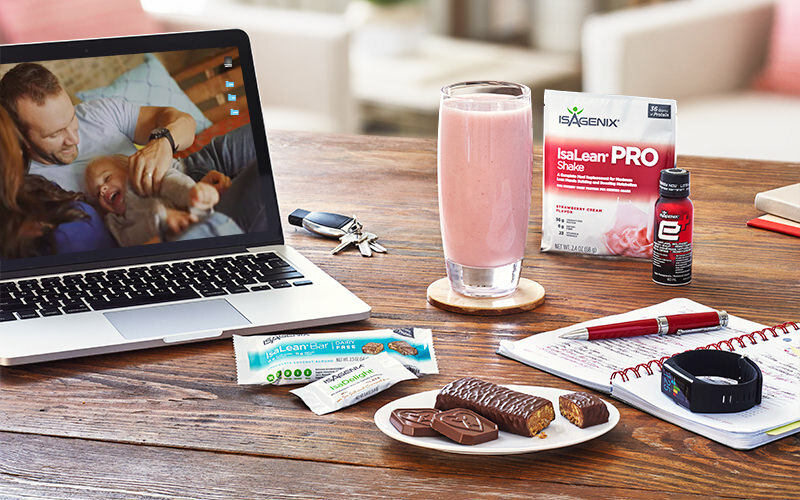 This revved-up pak is perfect for maximizing your energy and performance goals. 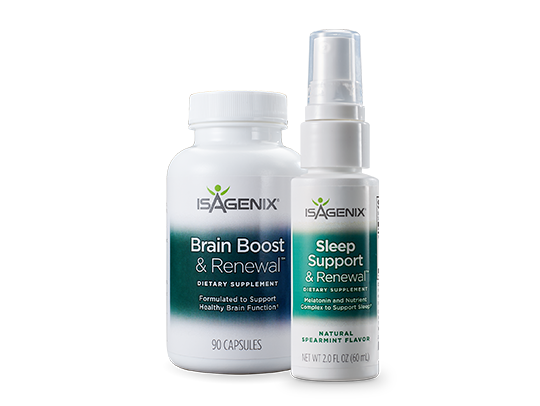 A two-part system that helps support cognitive function and promote brain health. 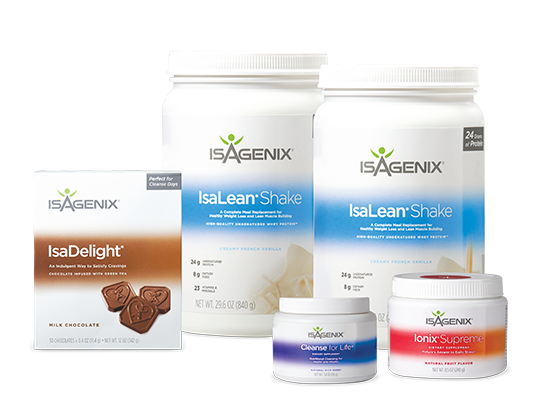 Products you can integrate into your healthy lifestyle to help you reach your goals. 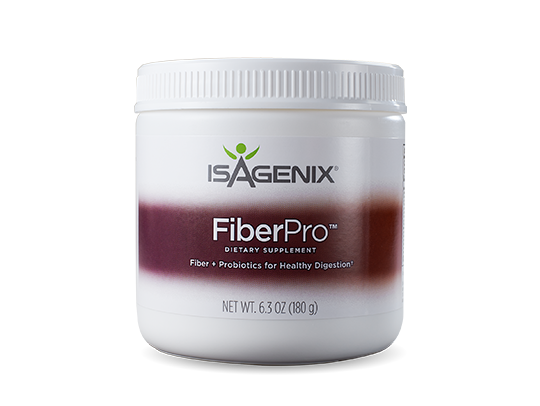 FiberPro is a flavorless, easy-to-dissolve supplement that helps promote regularity and supplements your daily intake of fiber.† Mix with water, or add it to your IsaLean® Shake. 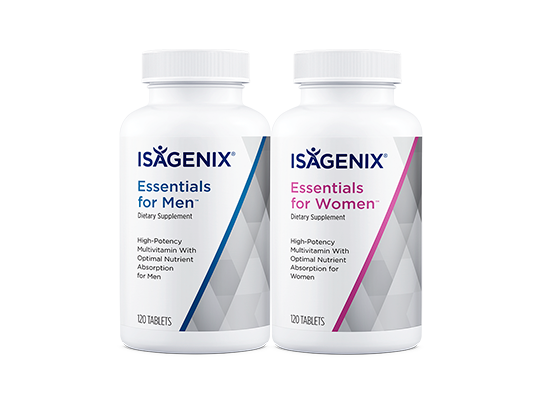 Contains 100 percent of the recommended daily amount of 15 essential vitamins that promote healthy development of cartilage, bones, and teeth and support healthy metabolism and immunity. 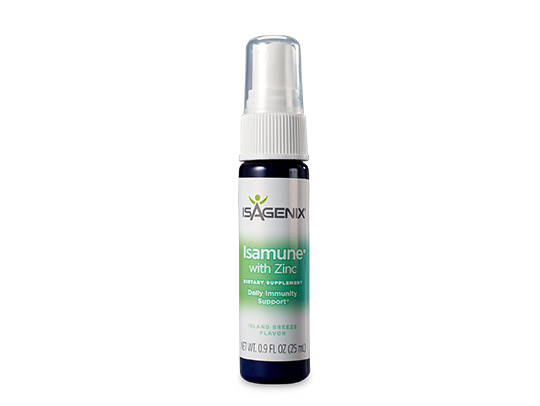 An immunity support spray that instantly delivers natural, immune health supporting compounds. 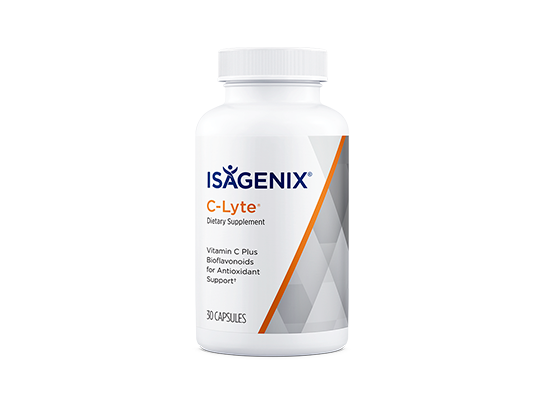 Energizing vitamin C combined with antioxidants to help keep your body in peak health and provide immune support. Provides support for cells, tissues, and organs against the signs of aging from within. 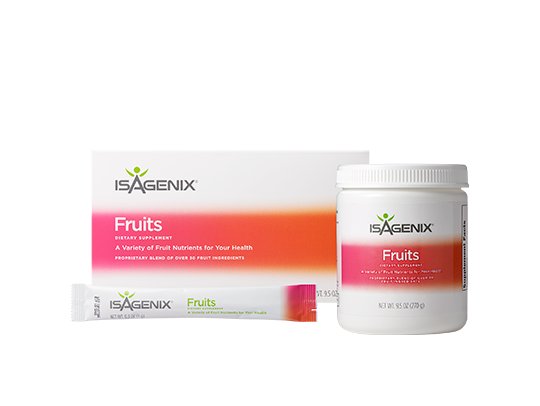 Fortifies your body with a balanced blend of high-potency vitamins, minerals, antioxidants, and omega-3 fatty acids for complete daily nutrition. 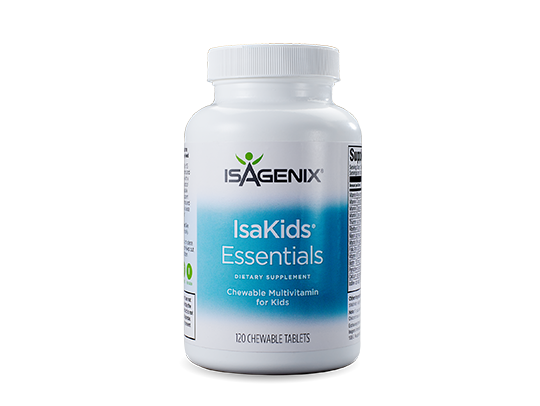 One of the most effective multivitamin options on the market. 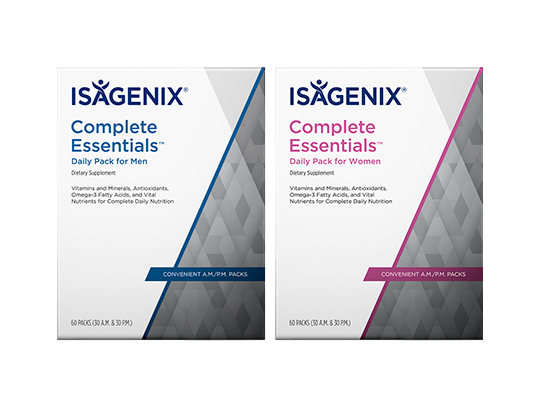 A daily dose of the A.M. and P.M. packets costs less than and helps protect you from the effects of aging. 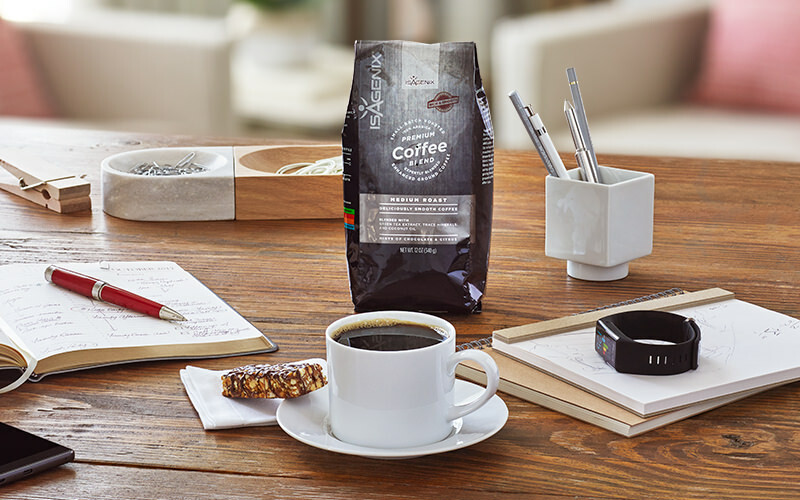 A fairly traded blend of 100 percent arabica beans, Isagenix Coffee is slow-roasted, smooth-tasting ground coffee to help start your mornings right. 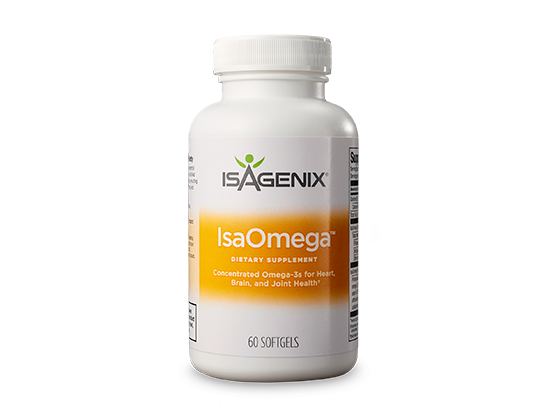 IsaOmega contains the purest, most advanced omega-3 essential fatty acids on the market today. It helps to promote heart health, joint health and brain development. 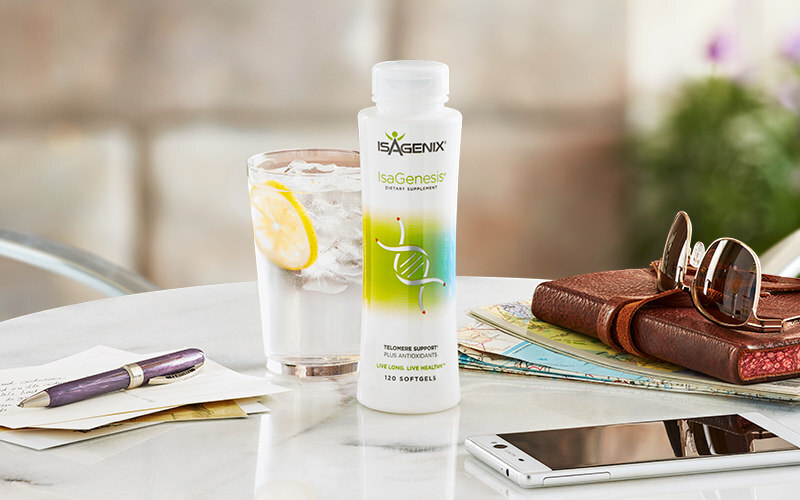 IsaGenesis® is designed to support your telomeres for healthier, more youthful aging. 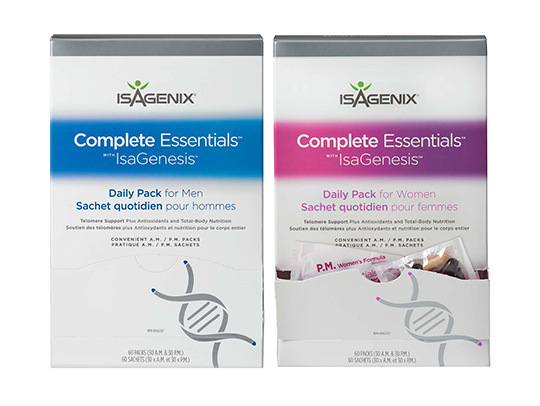 This daily pack gives you a convenient way to achieve optimal intakes of vitamins, minerals, omega-3s and antioxidants, as well as special age-defying nutrients in easy-to-use packets to meet your nutritional needs. 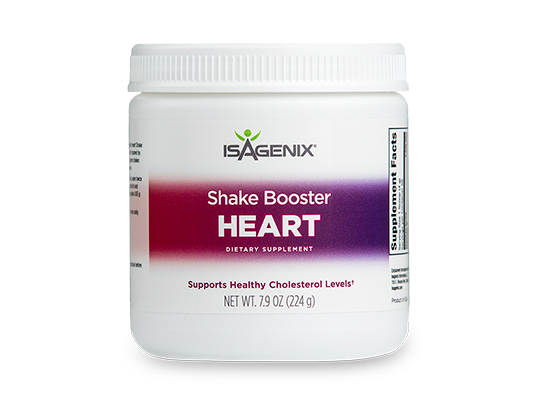 Heart Shake Booster is a blend of science-supported ingredients that may reduce the risk of heart disease⁁⁁⁁ and support overall cardiovascular health. 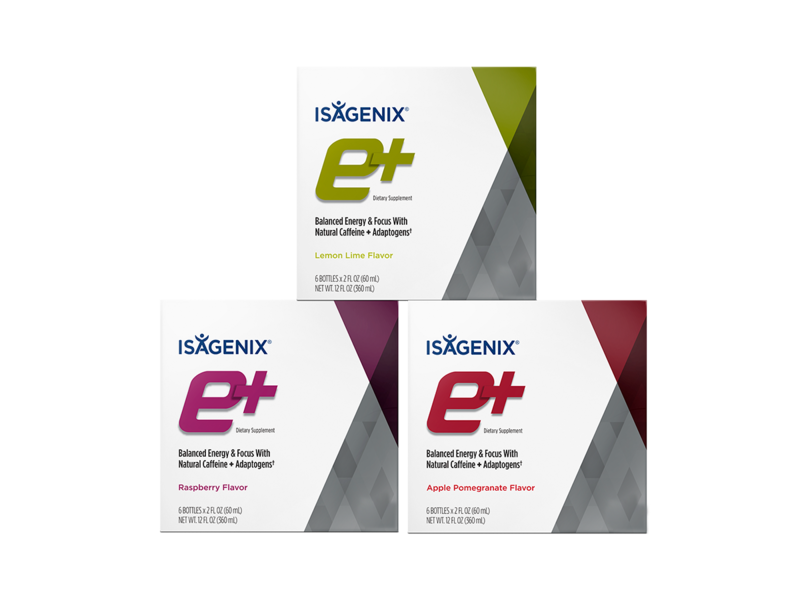 A long-lasting, flavorful energy shot made with naturally-sourced, plant-based caffeine and adaptogens. 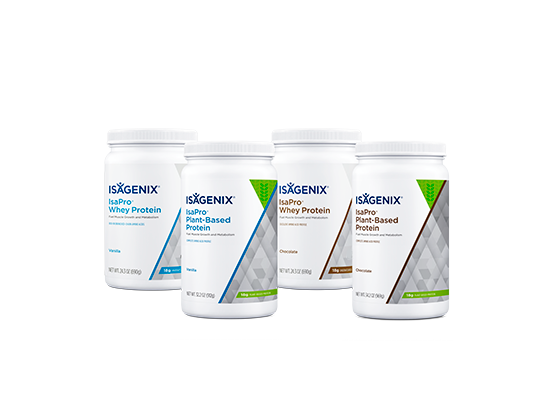 High-quality undenatured whey protein concentrate with 18 grams of protein in every serving. 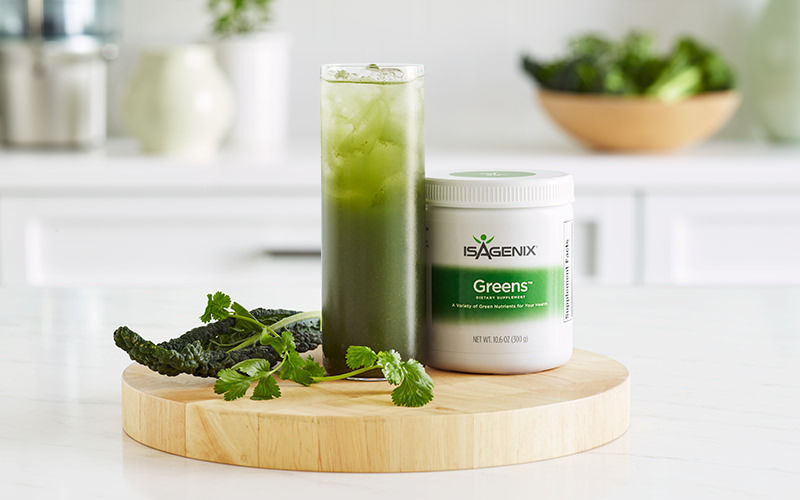 Isagenix Greens features nutrition from over 30 vegetables, herbs, and botanicals, such as ginkgo biloba leaf, green tea extract, and grape seed extract, to promote overall health. 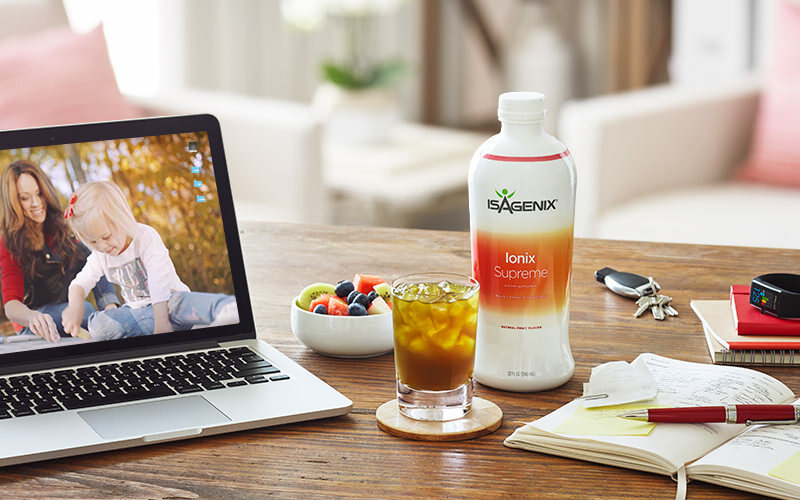 Isagenix Fruits is loaded with essential nutrients to promote overall health.